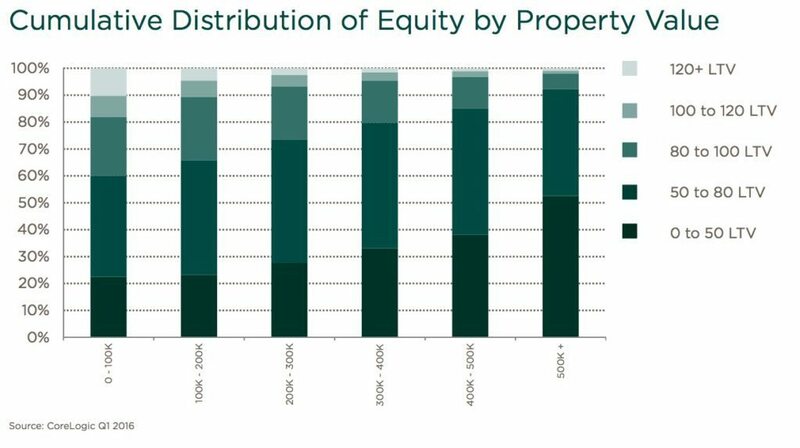 268,000 residential properties regained equity in Q1 2016. The aggregate value of homes in negative equity was $299.5 billion. 8.0 percent of mortgaged homes were in negative equity. The 30-year fixed-rate mortgage (FRM) rate fell to 3.6 percent from 3.66 percent. A year ago, the 30-year FRM was 4.04 percent. 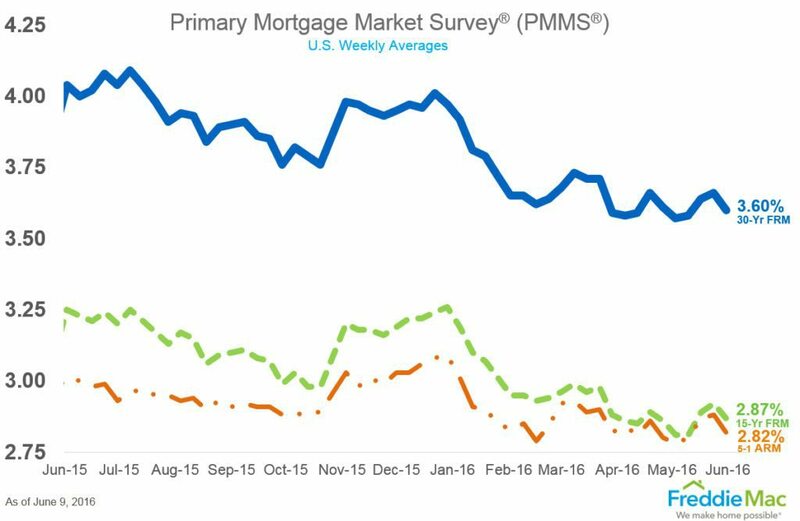 Mortgage applications increased 9.3 percent week-over-week. The refinance share of mortgage activity decreased to 53.8 percent of total applications from 54.3 percent the previous week. The average contract interest rate for 30-year fixed-rate mortgages with conforming loan balances decreased to 3.83 percent from 3.85 percent, with points decreasing to 0.33 from 0.36 (including the origination fee). Where are the young buyers? Surprise! Why so few low-FICO home loan applicants? Sales of new homes jump! ... Right?